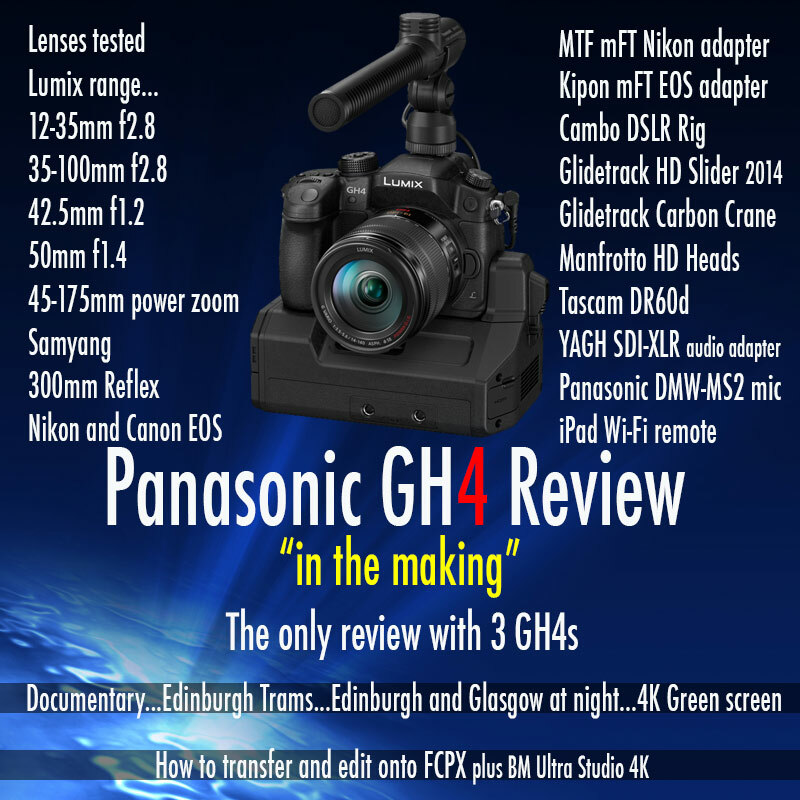 Our Panasonic GH4 review will be a belter, not only footage from 3 GH4s filming a documentary with background GH4 footage but a host of lenses and kit from the Glidetrack 2014 smoothest slider on the planet to the full blown GH4 filming kit using the YAGH SDI-XLR adapter. Can’t wait. When will it be ready? Really looking forward to this review!